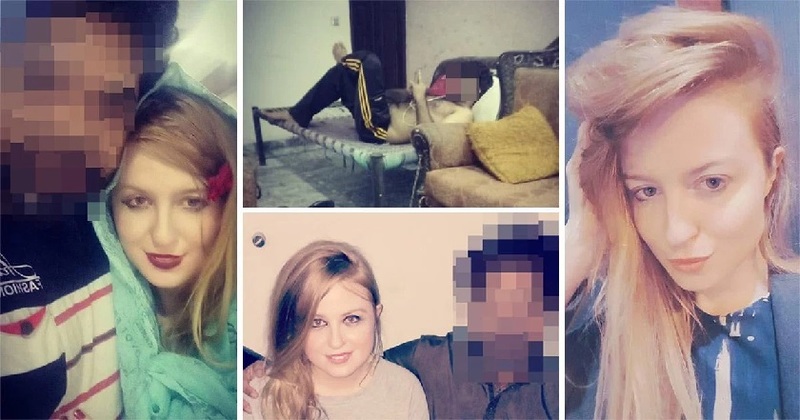 Lara Hall, 30, became the victim of a predatory online groomer who was lured to Pakistan by the false promise of a lavish life with the man of her dreams was instead locked up, beaten and used as a slave for months. It all started when Lara, who had just started a prestigious role after finishing her law degree, struck up a friendship with a Pakistani woman she met on the train in 2013. Lara, who came from a dysfunctional family, became close with Rihanna’s family and during a Skype call with relatives in Pakistan she was introduced to Sajjad. Sajjad added her as a friend on Facebook and promised her a happy and comfortable life if she would ever consider him. He claimed to have five houses and sent her pictures of a Spanish-style villa in Lahore they could live with. Sajjad even made contact with her family and became online friends with her twin Amy. He also sent Lara’s grandmother emails promising he would keep her safe. And when he invited her to his brother’s wedding in early 2018, she decided to take a chance and travel 18 hours to meet the man of her dreams. But when she arrived on 23 April she saw that Sajjad lived in a ‘filthy’ house where 20 people shared five bedrooms. Ms Hall continuously refused Sajjad’s marriage proposals. Sajjad became violent when Lara repeatedly refused to marry him or convert to Islam. Ms Hall’s 30-day visa had expired, and Sajjad claimed he had contacts working on a renewal but told her in the meantime she couldn’t leave the house or she risked arrest. She managed to contact the Australian consulate and High Commission, thinking her reports of assault would trigger an urgent response. She was disappointed by their attitude, saying she was told to seek safety, but she was scared to go to the police due to her visa overstay and for speaking out against a local man. So Ms Hall planned her own escape. She reached out to Dr Kaiser Rafiq via facebook, chief executive of the elite AFOHS club, a prestigious members-only club for armed forces officers, diplomats and prominent business personalities. Ms Hall flew to Islamabad where the Ministry of Interior has its headquarters. At first she was threatened with detention for overstaying her visa but after some pleading she was given a £305 fine and instructed to leave within 10 days. With not enough money to feed herself, let alone purchase an international flight, Ms Hall says she again tried to reach out to the Australia embassy but no help from them. Lara then set up a GoFundMe page and made contact with the British Pakistani Christian Association who paid her fines and organised safe travels back to Australia. Both the organisation and Lara has criticised the Australian government for letting her down.